Location: 222km east of Melbourne. 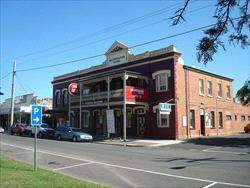 This attractive town, with Its tree-lined 19th style main street, is named after Maffra In Portugal, reputedly because many of the early settlers from the Monaro, NSW, region had fought in Spain and Portugal during the Peninsula War It was first visited by explorer Angus McMillan in the 1840s, who selected land on the nearby Avon River. 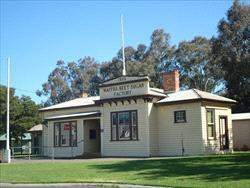 Maffra grew in stature in 1862 when a punt over the Macalister River enabled travellers to get to the goldfields. During the 1890s a sugar beet industry started and operated until the weather and competition for labour from dairying ended it after WW2. 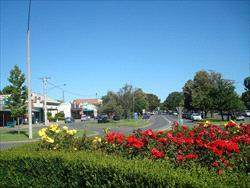 It is intensive dairying country and the hub of the rich Macalister dairying, agricultural, pastoral and irrigation area. Avon Mt Hedrick Scenic Reserve - via Boisdale - 30km NW of Maffra - Accessed via Maffra or Heyfield on several roads running off the Newry Glenmaggie Road This 5,700 hectare reserve is bisected by the Avon River which provides the major visitor interest, while its predominantly dry open forests display a great diversity of wildflowers and its variable landform contains gorges, rocky escarpments and several high peaks. 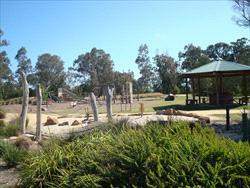 Day picnic and BBQ facilities are provided at Nicholson Rocks, The Channels carpark and Dermodys Camp. 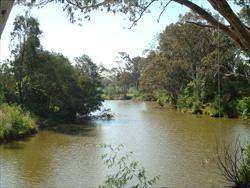 These sites are starting points for short walks, including The Channels track which runs through a rocky gorge, cut out of siltstone and sandstone by the Avon River. Several walking tracks are also provided in the vicinity of Mt Hedrick.